Kit Walker was probably the most if not the only heroic Peter’s character in AHS. It was a very different and a new role for the actor and he nailed it. 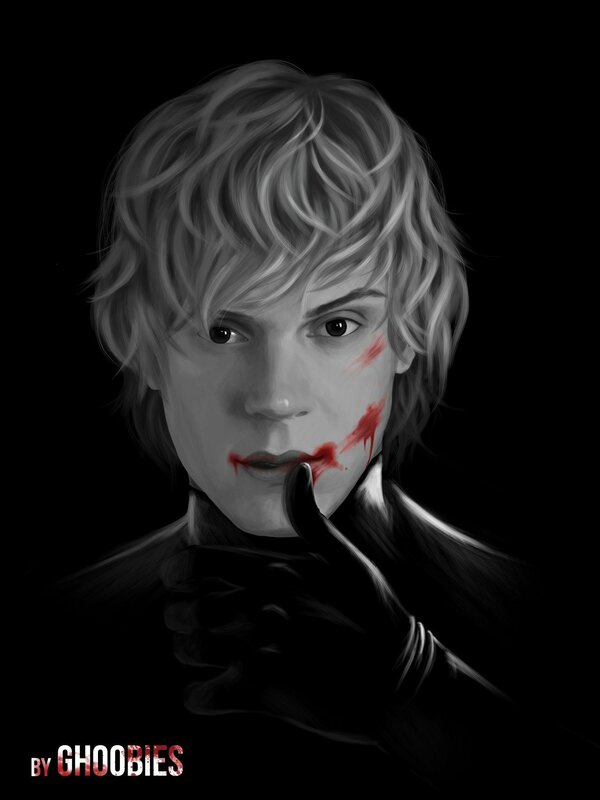 It didn’t release Evan entirely from the grasp of Tate Langdon’s charms that bewitched his fans, but it definitely uncovered how diverse and dynamic the actor can be. And he’s a real sweetheart here as well, hitting it on with even two of his co-stars and helping to defend interracial marriages in the process. Before he started shooting for the third season of AHS the actor admitted to being most worried not about the possible torturous scenes but stripping down for the camera again. 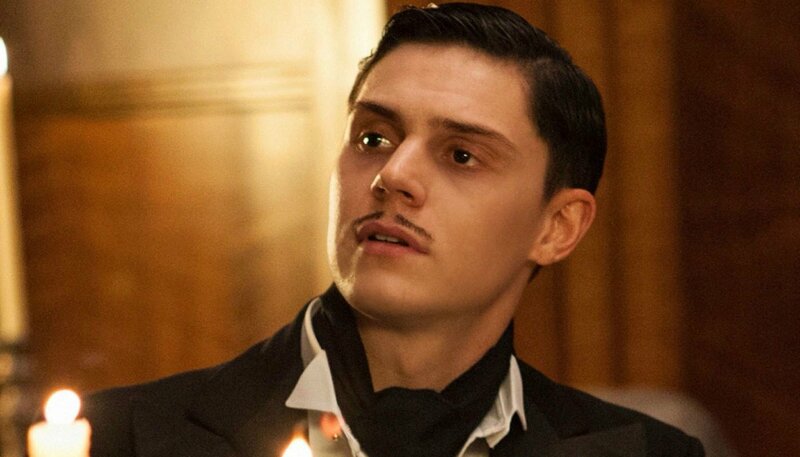 Evan Peters revealed that playing his darkest character (up to a 7th season), mass murderer and builder of the Hotel Cortez, Mr. James March, within the franchise made the fifth installment especially chilling. The character was inspired by H. H. Holmes, America’s first serial killer. I would be scared of me. I would definitely be scared of me… He’s got a lot of external qualities and things. He’s just fun to play and he’s probably the most evil character that I’ve played in the series. He surpasses Tate in that area. Peters seemingly had a blast going full on foppish aristocrat with this character (Edward), and I guess it was cool that we got to see him make out with a dude instead of Taissa Farmiga, but we simply didn’t get enough time to get to know him. Evan Peters fans are in for a treat this season. American Horror Story: Cult is poised to be the actor’s best season yet, with the AHS staple playing several (5? 7?) different characters throughout the 11-episode installment. Let’s hope that this is the promise that the showrunners and the actor can hold on to because Evan Peters is the main reason why American Horror Story is what it is today.